First love has lifelong consequences, but Paul doesn't know anything about that at nineteen. At nineteen, he's proud of the fact his relationship flies in the face of social convention. As he grows older, the demands placed on Paul by love become far greater than he could possibly have foreseen. Tender and wise, The Only Story is a deeply moving novel by one of Britain's greatest mappers of the human heart. 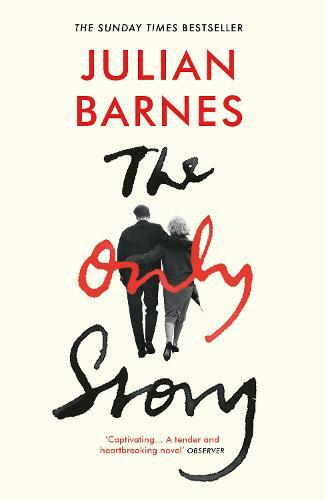 Julian Barnes’s diverse output is anything but conventional. His novels range from his debut, the linear coming-of-age storyMetroland, to rather more experimental novels, including his breakthrough success Flaubert’s Parrot, A History of the World in 10 ½ Chapters and the three-person love triangles explored in both Talking it Over and Love Etc. More recent meditations have focused largely on temporality - The Sense of an Ending (for which Barnes won the 2011 Man Booker Prize) and his most recent novel, the superlative The Noise of Time. I absolutely loved this tender, beautifully written story about first love, how it affects us throughout our lives. The reminisce of a one and only love is told in a wonderfully lyrical and melancholic way.